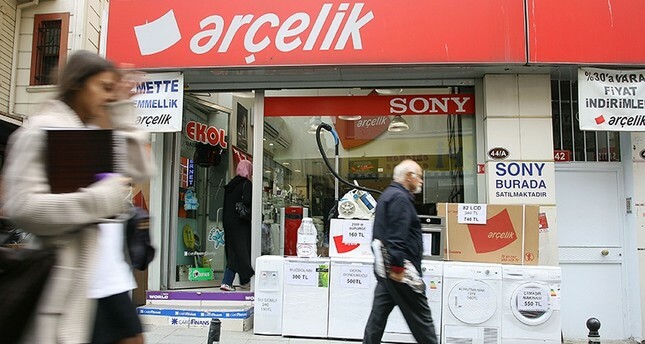 Leading Turkish home appliance maker, Arçelik, has signed an agreement to acquire a majority stake in Singer Bangladesh for $75 million, an official announcement said Sunday. Arçelik is a concern of one of Turkey's leading conglomerates, Koç Holding. Under the agreement, Ardutch BV, a wholly owned subsidiary of Arçelik, would acquire a 57 percent stake in Singer Bangladesh's majority shareholder Retail Holdings Bhold BV. The transaction is set to be completed in April, said a press release, adding that the remainder of the shares are publicly owned. Koç Holding Consumer Durables Group President Fatih Kemal Ebiçlioğlu was quoted as saying that "this acquisition is another significant step on our Silk Road strategy. Bangladesh is one of the fastest-growing economies in the world and it will further accelerate in the medium to long term." "Over the next decade, the growth in our industry will come from the Asian Pacific. Singer Bangladesh is a strategic fit for us and this deal is a unique opportunity to invest in Bangladesh, a market which holds great untapped potential," said Arçelik CEO Hakan Bulgurlu. Bulgurlu also noted that the company's mid-term target is to become the market leader in the major product groups. "The Singer Bangladesh business will benefit significantly from the new relationship with Arçelik," said Stephen H. Goodman, Retail Holdings NV's chairman, president and CEO. Arçelik has a very strong balance sheet and decades of highly successful operating experience across many markets around the world. Singer Bangladesh will also have access to the extensive Arçelik brand portfolio, he added. Founded in 1955 as a subsidiary of Koç Holding, Arçelik, Turkey's largest industrial conglomerate and a member of the Fortune 500, is a leading player in the home appliance industry with 21 manufacturing facilities in eight countries. It is the third-largest home appliance company in Europe. Founded in 1905 and headquartered in Dhaka, Singer Bangladesh has an extensive product portfolio, ranging from refrigerators to washing machines, televisions to air conditioners. It has the top two positions in major product groups as well as the largest retail distribution network in the Bangladesh appliance market. It has 385 stores and 720 wholesale dealers, the press release added. Singer Bangladesh is said to have 1,507 employees and it reported 2018 revenues of $164 million. Singer Bangladesh's reported earnings before interest, taxes, depreciation and amortization (EBITDA) and net income are $20 million and $11 million, respectively.